Bucket travel lists can be as routine as going to Italy to see the frescoes or to New England to see the changing leafs. Today’s adventure travelers think farther outside the box and are driven to see the world’s wildest remaining places before they are gone. Unfortunately there are fewer candidates for this list, but here are six we think worthy. Perhaps that human pull to help each other to the top is what feeling alive is and what bucket listing is all about. The pull to travel on the trail of the ancients is prime bucket list material. Trekking and horseback travel through Western Mongolia pushes us back to Genghis Khan’s era and requires some of the same stamina and teamwork. It’s a remote roadless place that has escaped modern times. An experience you share with the ghosts of the Mongol hordes is the essence of bucket list travel. Perhaps no other place is synonymous with bucket lists as Peru’s Machu Picchu. It’s one of the few meccas that attract hard-core backpackers and wheel-chair grannies. The fine stone architectural ruins set against the Andean backdrop are both a spiritual and sensory journey. “With a bit of careful planning and right approach you will find the site as enchanting and engaging as any on the planet,” writes Chris Moss in London’s Telegraph story on the top 25 bucket list destinations and it’s part of our trek in Peru. Author James Hilton in his 1933 novel “Lost Horizon” writes of a Himalayan kingdom called Shangri La that somehow escapes the modern world and its residents have prolonged longevity. Fast forward nearly a century later and somehow Bhutan has morphed into Shangri La by evading the traps of the modern world. By placing environment over economic growth, when you trek Bhutan you’ll see it has retained its beauty, innocence and mythical lure. The Kingdom of Bhutan is known as the Land of the Thunder Dragon where the gross national happiness means limiting tourism and maintaining its healthy forests and mountain majesty. With eight of the world’s top ten peaks, Nepal is bucket list nirvana for any mountain lover. Mount Everest is the world’s highest spot over 29,000 feet and for that reason alone it’s on the list but the villages, valleys and views on the way to Everest Base Camp are also bucket list worthy. 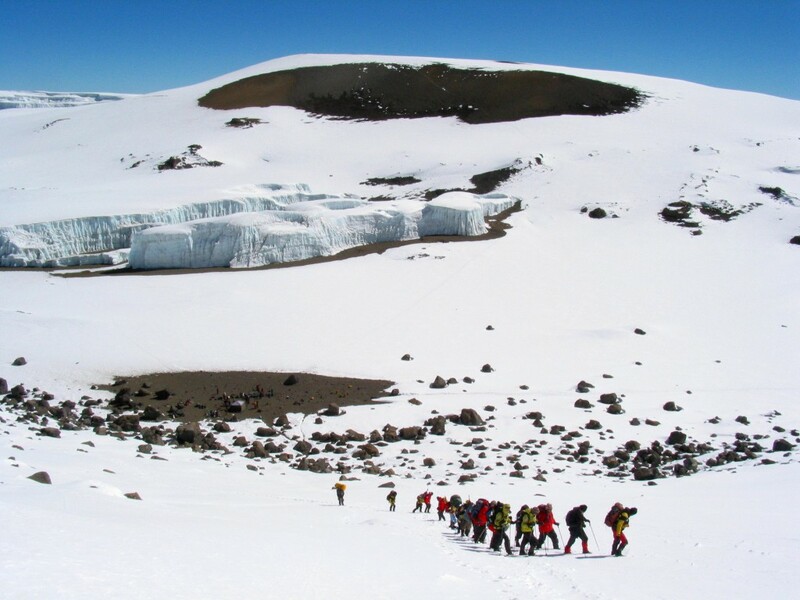 Edmund Hillary put it on the list 60 years ago and despite earthquakes and climbing fatalities, Everest remains a mountain magnet and our Everest Base Camp trek one of our most popular trips. In the last decade Iceland adventure travel has broken the bucket list ice. A rare combo of outsized geothermal/volcanic beauty and a vibrant music/food scene have made Iceland both a hipster’s haven and an adventure travel hot spot. Another rare combo, winter’s Northern Lights and summer’s near eternal sunshine make it a unique destination. And that’s what our bucket list places share – uniqueness that requires the spirit of adventure to experience them. The longer we do that the longer we keep kicking the bucket down the road.